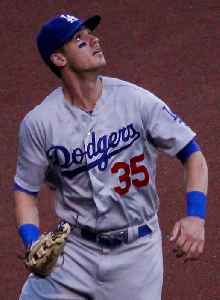 Cody James Bellinger is an American professional baseball first baseman and outfielder for the Los Angeles Dodgers of Major League Baseball (MLB). He was named an All-Star and the National League's Rookie of the Year in 2017. Bellinger is the son of Clay Bellinger, who also played in MLB.